To help museums, galleries and heritage sites to maintain their collections more effectively in 2016; the Association of Independent Museums (AIM) has just published a new Success Guide called ‘Successful Basic Interventive Conservation’. This is the companion guide to Successful Collection Care and both have been published in English and Welsh thanks to funding from Welsh Government (Museums, Archives and Libraries Division). The guide has been created to help museum staff and volunteers understand basic interventive conservation techniques, to carry out assessments on objects and to know when to seek additional advice from a professional conservator. This Success Guide provides an overview of interventive conservation and helps to determine how best to stabilise, clean and safeguard objects without removing evidence of their past life to ensure their survival and to aid the interpretation process. 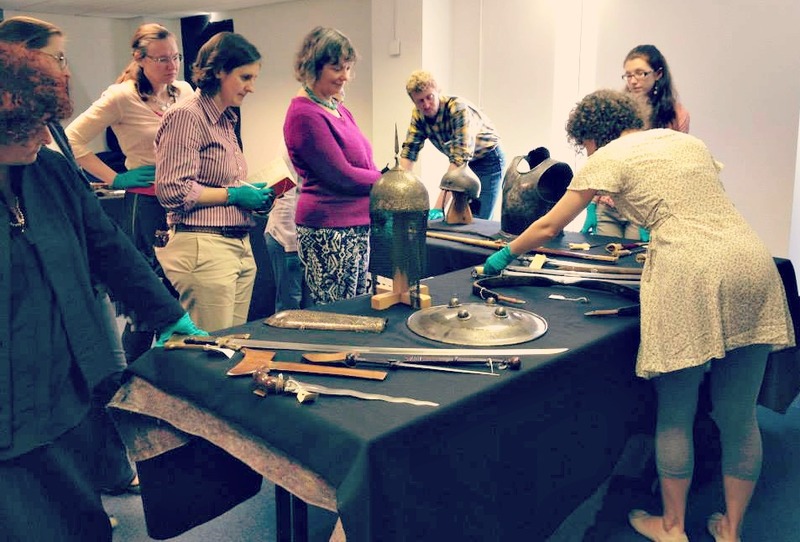 Authored by Ciarán Lavelle and Lizzie Miller, Object Conservators at Birmingham Museums Trust, this Success Guide provides practical advice, useful resources and further reading for those who want to learn more about interventive conservation. All AIM Success Guides can be downloaded for free from the AIM website and all titles in the AIM Success Guide series have been produced to provide practical help to all size museums. ‘Successful Basic Interventive Conservation’ is now available to download from the AIM website in English and Welsh. A free study day for all UK museum professionals about Islamic Ceramics run by The Islamic Art and Material Culture Subject Specialist Network is taking place at the V&A on Wednesday 25th November. Led by Dr Mariam Rosser-Owen (V&A, Asia Dept), the study day will provide an opportunity to learn about Islamic Ceramics from some of the UK’s leading curators and academics and to examine the V&A’s world class collection. The day will include a range of presentations, discussions, object handling and networking opportunities. For a detailed programme please visit News & Events. The SSN for Islamic Art and Material Culture aims to help museums unlock their collections by sharing expertise on objects and best practice in this specialist area. They particularly welcome museum professionals from regional museums, who are keen to develop their collections in this area and to use them to help engage more diverse audiences at their own institutions. We like to showcase previous examples of successful applicants, so that anyone thinking of applying can see the type of conservation work that AIM has previously funded. 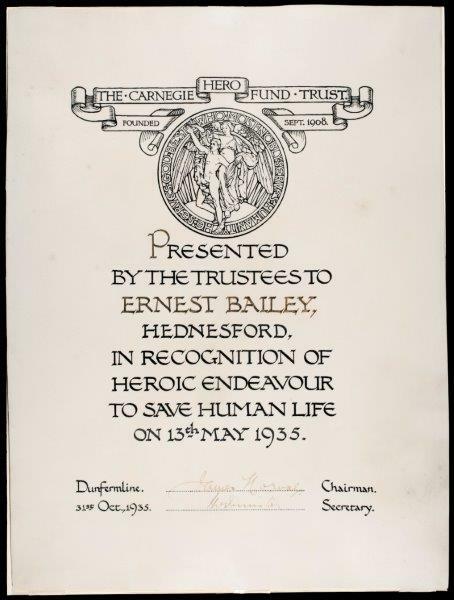 The following is a report from Colonel A S Taylor, Honorary Curator at The Herefordshire Light Infantry Museum, on how an AIM Conservation Grant of £1684 supported the conservation of a painting. The Herefordshire Regimental Museum exists in Hereford to maintain the spirit and ethos of the Regiment. The Herefords (as they were known) were a Territorial Regiment, mobilised for action in 1914 and 1939. The Herefords, comprising a single Battalion, were mobilised in August 1914 and had their baptism of fire at Suvla Bay, Gallipoli; the action depicted in this painting ‘Advance at Suvla’. 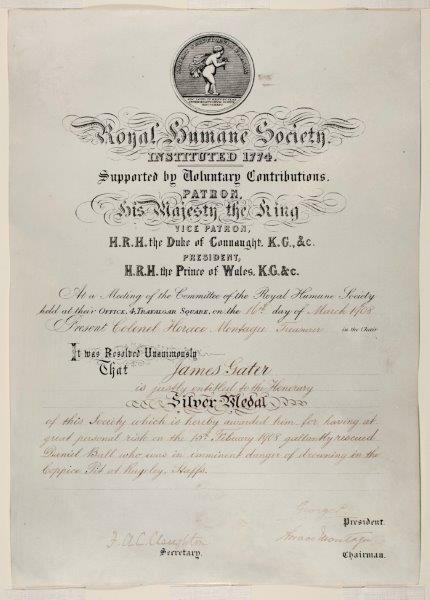 The Battalion performed well and their actions were brought to the attention of the Commander in Chief, Sir Ian Hamilton who specifically mentioned them in his despatches. Most of the men serving in the Battalion at the time were from Herefordshire and many of the families of those soldiers still live in the county and some are associated with the Museum and the Reserve Forces. The painting by Charles Dixon, a painter of some note, was commissioned soon after the action by the County’s Territorial Forces Association to commemorate the event. Through the years the painting has become synonymous with the Herefordshire Regiment; it is effectively the Regiment’s and Museum’s ‘trademark’ and is recognised throughout the County. The painting forms a significant part of the Museum’s collection and hangs in the Drill Hall at Suvla Barracks. As part of the centenary commemorations it is planned to hold, amongst other events an Open Day (Suvla100), which is fully supported by The Herefordshire First World War Centenary Committee (HFWWCC). The plan includes the display of 100 medals groups of men from the Herefords that served at Gallipoli. The Advance at Suvla painting will also be prominent during this period and will make a significant contribution to the commemorations. The Trustees determined that the painting should be restored and conserved prior to the centenary; from records held for the first time since it was painted in 1921. Advice was sought from the County’s Museum Services staff and a plan put in place. 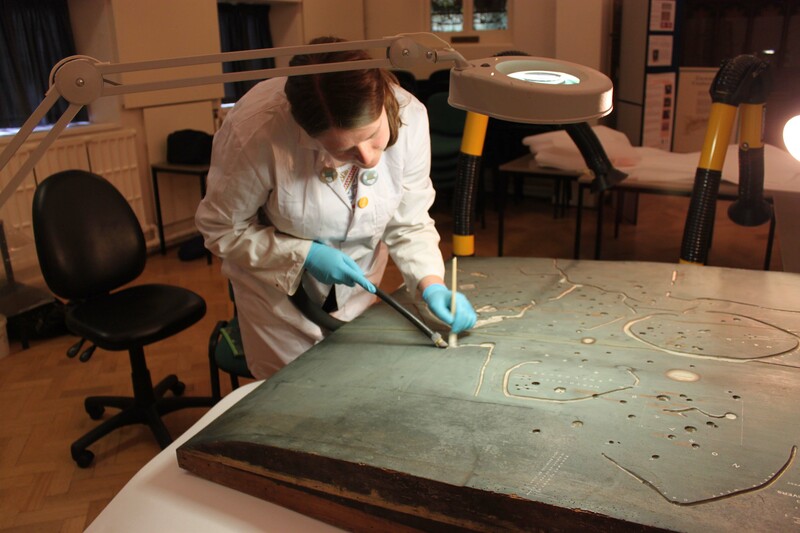 Britton and Storey, ICON registered conservators were selected to carry out the work and conducted a detailed survey. The Museum is totally volunteer run and receives no formal funding, thus the cost of the task was a major consideration. Discussions with The Friends of Herefordshire Museums and Arts secured a grant in support of this project of £500. AIM agreed to fund the balance the project cost: £1684. The work is now complete and the painting hangs in pride of place in the Drill Hall, new (painting friendly) lighting has been installed and the painting looks stunning and will certainly be a most significant part of the commemorations; it has already drawn considerable complimentary comment. The Museum Trustees are most grateful for the generous grant received from AIM which made the conservation possible.